James began his Clerking career here at 1 Hare Court in September 2009. Together with the other clerks, he is responsible for general diary management of all members as well as the fixing of cases. In addition, James is also our designated Dispute Resolution clerk in Chambers dealing with all enquiries regarding Arbitration, Mediation and Early Neutral Evaluations/Private FDR’s. 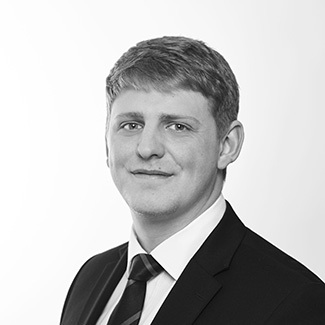 James has completed the IBC Advanced Award in Chambers Administration for Barristers’ Clerks. He previously sat on the IBC Junior Clerks Committee. Outside of work James enjoys participating in most sports mainly; Football and Golf.